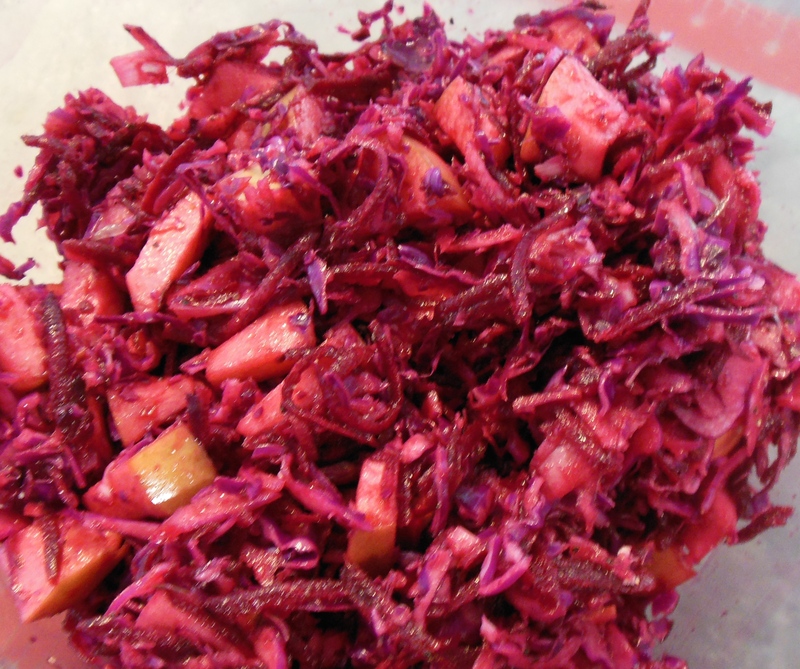 I recently got a wonderful bundle of delicious beets and a beautiful head of purple cabbage. So guess what? I made up an absolutely wonderful slaw that I know you will enjoy too! With this salad, you want to start by making the vinaigrette dressing ahead of time so that it can chill in the fridge for at least an hour and be ready to go. In a small bowl, stir together the minced onion, white wine vinegar, wine, balsamic vinegar, lemon juice and Dijon mustard. Let stand for about 15 minutes. 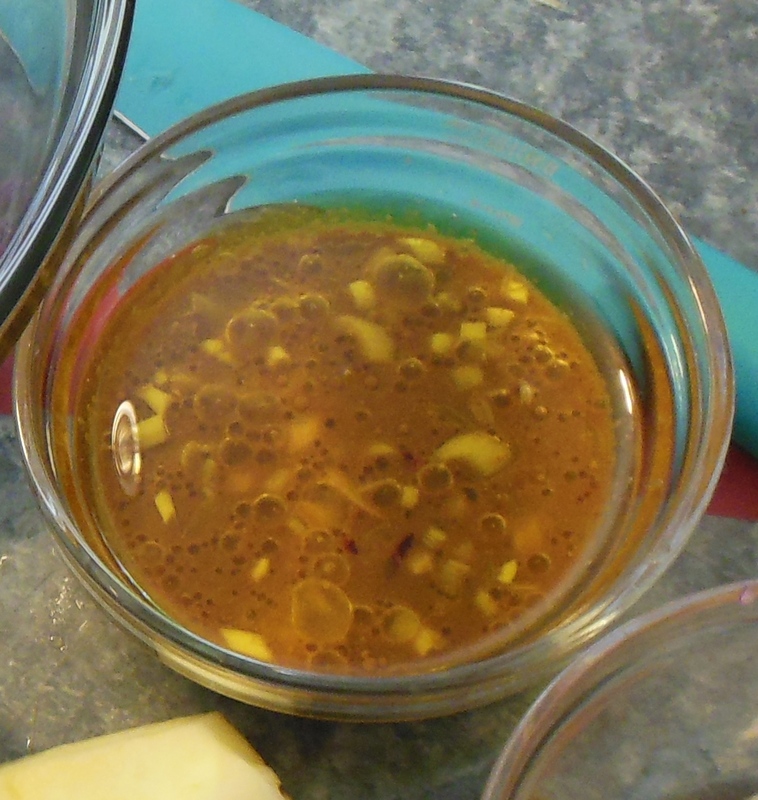 Next, pour the mixture into a small jar with lid, add the oil, screw on the lid and shake to combine well. Season with just a pinch of salt and pepper to taste. In a small dish, soak minced green onions and 1 teaspoon white wine vinegar for 10 – 12 minutes. 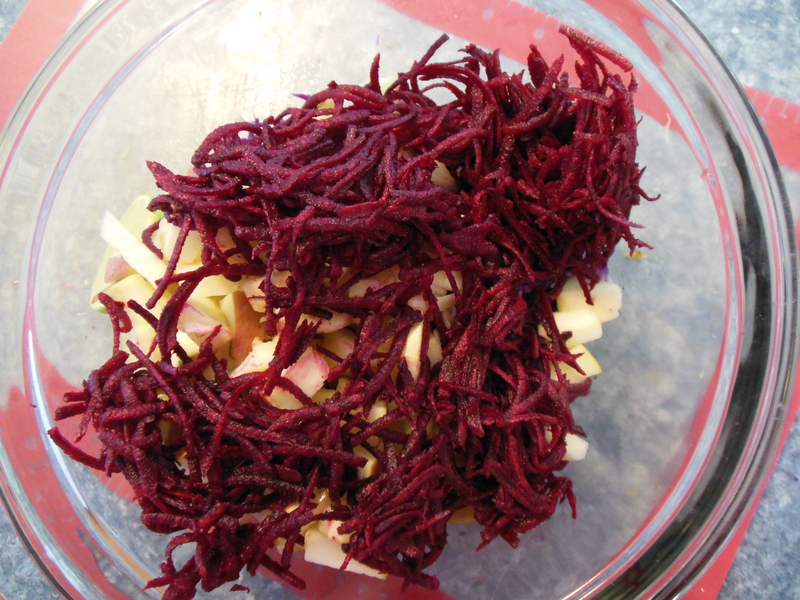 Next, in a large bowl, mix together the cabbage, beet, apple vinaigrette dressing, and the minced onion that has been soaking. Season generously with lemon juice a pinch of salt and fresh ground pepper, to taste. 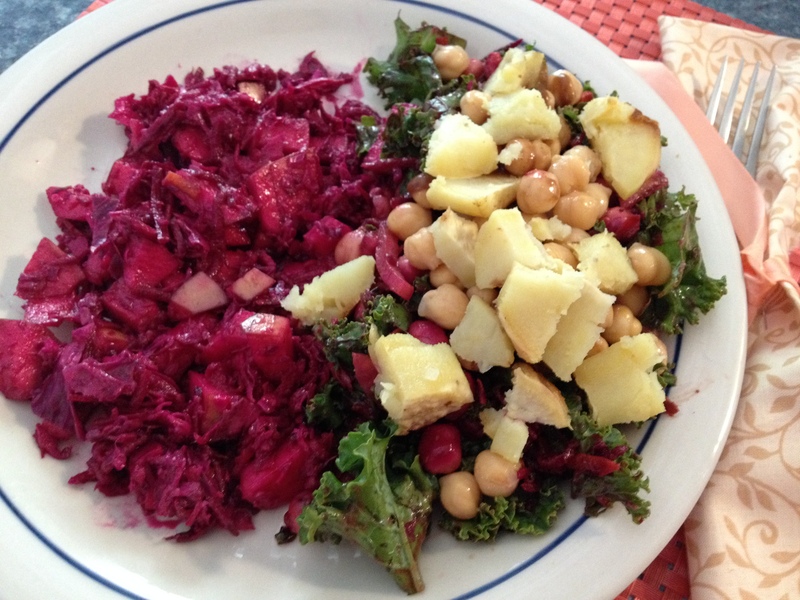 For dinner one night, I paired the slaw with a kale salad topped with roasted sweet potatoes and garbanzo beans. Now that was a delicious!